Beauty expert and contributing writer, Mary Winkenwerder, of GLADYS Magazine and BRINK Magazine humbly opens up and tells me what it's like getting into the beauty industry. Beauty expert and contributing writer, Mary Winkenwerder, of GLADYS Magazine and BRINK Magazine humbly opens up and tells me what it's like getting into the beauty industry: "I never followed up with any of the offers thinking they would always be there." Often times many of us clearly make this mistake as we assume and take for granted some of life's opportunities and callings. Often times we may be reluctant or afraid of the unknown. On the topic of being spiritual and the supernatural when asked if it corresponded to this type of work, she said, "The world we live in is consciously super. Whether we see it as super stimulating or supernatural, there are amazing driving forces within us all. I do believe in a higher power and that it can help to feed our inner driving force to achieve goals, dream bigger and achieve more. Tapping into that vital force can of course be a challenge, but with maturity becomes more of a focused activity. When it all comes together, it's sublime. Yes I do believe that feeding the soul can help to make one more beautiful. To further add to this could be as simple as saying that energy follows intention." Alexandra Holzer: How did you get started in the beauty industry, as I understand you had quite a rough start in life. Can you open up to me and explain what went on? Mary Winkenwerder: I've always had an affinity for all the girlie things in life and the beauty industry. My interest started as a child and grew passionately over time. My first official foray into beauty was having to do my hair and makeup as a model for a department store, making $3.50 an hour at the time. In a short time, I became a regular employee of the department store and countless professional offers to enter the beauty industry as fast-track career opportunities came my way. Some time later when I was ready to enter the industry on those terms, the opportunities were not available or had phased out. Regrettably, I had learned a very hard lesson and my next big opportunity would not make it self present until about 10 years later. When my next big opportunity did come around once again, I ran to greet it and optimized every facet of the situation. Making the most of the situation translated into becoming a business manager, professional makeup artist (working with clients and print). My clients spanned from the homeless to celebrities and everyone in between. After retiring a formal retail management career of about 20 years, I worked with area spas and salons in marketing/PR and business development. Approaching beauty from this different perspective translated into me becoming CPR certified, learning to file insurance (dental, chiropractic, physical therapy and medical), outsourcing plastic surgery services, aiding my aestheticians, massage therapists and stylists by turning over tables/cleaning stations, scheduling product and continuing education as well as sitting through these training sessions to be able to sell and better relate to my professional staff. It worked and served to be one of the greatest challenges of my career and laid the groundwork for future projects. AH: How important is it to have green products on the market today and do you promote any? MW: In terms of fusing green products into a care regime, it is very important to have alternatives when addressing personal care. I do not believe there is one product or one type of product to meet everyone's needs. The opportunity to use green products in a care regime can be the alternative someone needs to enhance the over-all quality of life. From time to time, I represent beauty brands providing digital PR services and enjoy doing so. AH: Tell me about your Ultimate Skincare & Beaute Report and what your blogisphere is geared towards. Is it for woman only or both woman and men? MW: Ultimate Skincare & Beaute Report is a beauty and grooming blog geared toward delivering product reviews. Ninety five percent of the products in the blog I have tested or experienced. Over time, I have added interviews, industry charity coverage and coverage from other facets of the industry. The blog is geared toward both women and men. I will be focusing more on men's grooming in the near future moving forward. AH: Talk to me about Gladys Magazine. It says it's a new inspirational fashion magazine to rival Oprah and is now on stands nationwide. How are you involved? 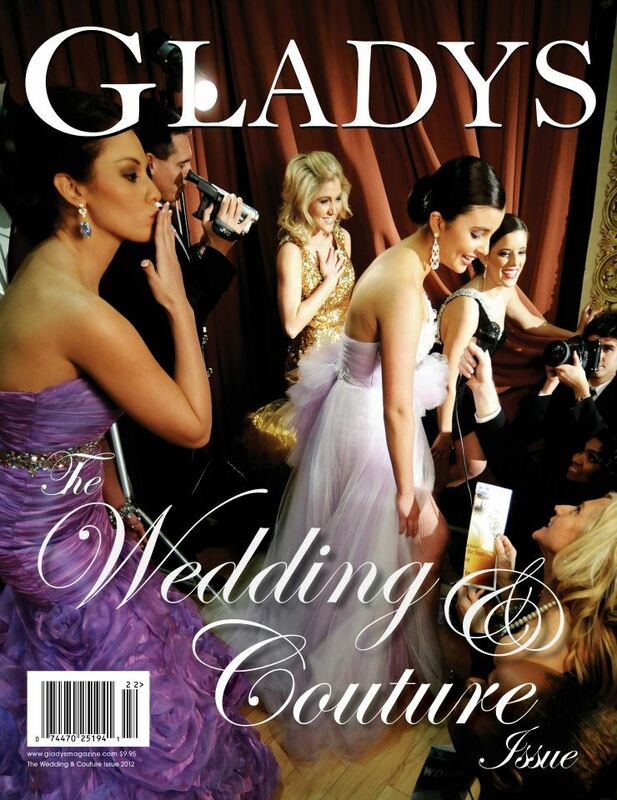 MW: Being a part of the Gladys Magazine's team is amazing. Everyone involved brings unique value to each issue. My role is as contributing writer. This translates into reviewing various beauty and grooming products and creating content surrounding a core concept, quarterly. To date, I have contributed three beauty features. I am grateful for this opportunity and for its leadership. AH: What message do you want people to know about feeling and looking good through what you do and are there any new things on the horizon for you? MW: The message that I would like people to know about looking good through what I do is that there is something for everyone in beauty and grooming. Of course true beauty comes from within-healthy spirit, healthy mind, healthy exterior. They work together for an ultimate achievement. My goal is to make beauty and grooming more approachable and to build a better trust between products (companies) and the consumer/industry professional markets. This fall, Ultimate Skincare & Beaute Report will add a new media element -- video. Starting late September 2012, weekly shows will air on YouTube. The shows will introduce new products, a brand representative with the brand, a trialed consumer point of view and seasonal finds. Other subject matter will be rolled out as the show takes root. I will bring in all types of brands ranging from mass market to high end. My production team is exploring making each show available in MP3 format for iTunes. I am fortunate to have the experience in the industry I have and want to be of service to every brand who graces my show as much as possible. For more information on Mary, please visit her Beauty Blogisphere as you can also follow her on Twitter.